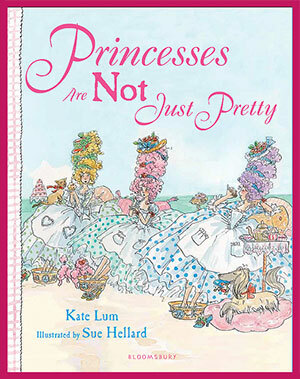 NEWS: "Princesses Are Not Just Pretty" available on Amazon.com on March 18th! Many girls dream of being pretty Princesses. I did, myself. But when we’re taught that being pretty is more important than all the other wonderful things we are-- smart, brave, kind, bold, happy, creative, etc, etc!- that is truly sad, and a waste of our potential. This story is for girls who may like to pretty up, but know there’s much more to being a Princess than that. Thanks for reading. I hope you all enjoy it! Princess Allie, Princess Mellie and Princess Libby are all pretty in their own way, but they want to know who is the prettiest. After a lot of arguing, they decide the only way to find out is by holding a beauty contest at the royal palace. But when the big day arrives, the princesses find themselves in a right royal mess. What will they do? Who will win the prize? And will the princesses ever realize that perhaps there is more to life than being pretty? Find out in this fabulously funny story about three delightfully different princesses.